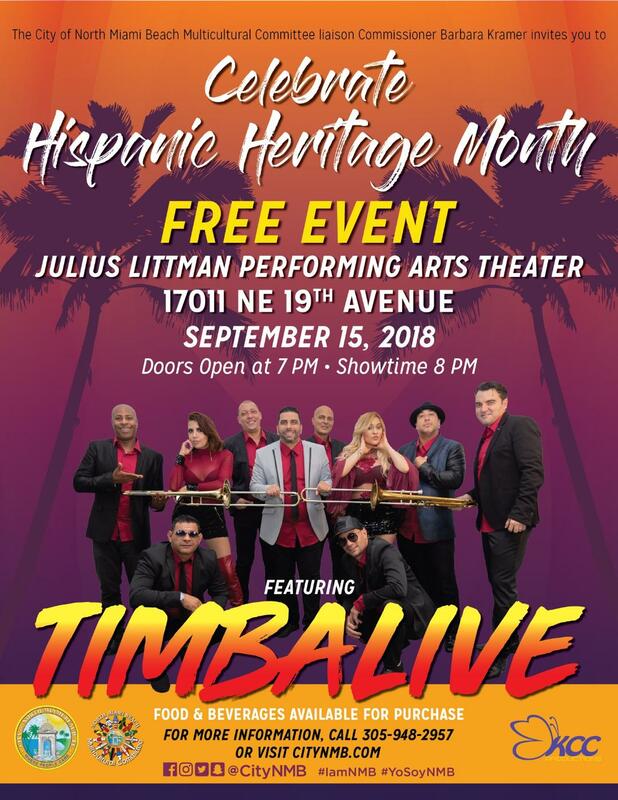 Saturday September 15 at 8: The City of North Miami Beach Multicultural Committee Liaison Commissioner Barbara Kramer invites you to celebrate Hispanic Heritage Month with Miami's outstanding timba band TIMBALIVE. Timbalive is a group of highly trained musicians from Cuban conservatories. 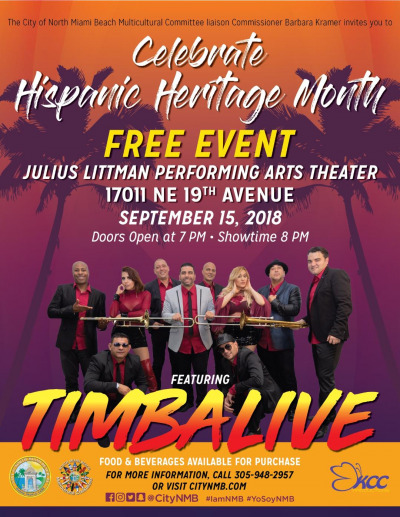 The sound of Timbalive is an inimitable blend of Caribbean rhythms, Popular Cuban Music, lyrics and arrangements designed with the dancer in mind. The success that Timbalive has achieved in a short period of time is the result of passion, perseverance and hard work, to claim what in the music scene is called their "Own Sound".